Gone are the times that only those who had long experiences with the bow and arrow can shoot magnificently. Nowadays, there are modern bows that can make you skillful even if you’re an amateur yourself. However, modern bows like compound bows aren’t to be taken lightly. You can’t unleash its fullest potential and also your potential by shooting it like you do traditionally. That’s why some devices and accessories are attached to the body of your bow to aid you for better shooting. One of these useful accessories is the bow release. If you can acquire it, the difference in your shooting accuracy will dramatically increase. Why Do You Need A Bow Release? Do you doubt your shooting skills? Have you missed a lot of shots because your fingers feel tension when you pull the string? Perhaps, you need something like a medium so your shaking fingers won’t get in the way when you’re trying to aim the target. Fortunately, bow releases or simply called release aids are already accessible and modernized today for the modern shooters. A bow release is a popular accessory for all archers in any age. It helps you be quicker with your release and yet still hitting the mark because it also aids with your accuracy level. Aside from the bow sight or a bow stabilizer, perhaps, the bow release is the most important. When you prepare to shoot an arrow, your fingers especially the middle, index, and thumb finger make contact with the string. If you release an arrow, there are chances that the shot will deform and miss the target entirely. This is called staggered release. There’s no avoiding that your fingers will create a string torque every time you hold the string. But you can eventually avoid causing string torque when you use a release. A bow release makes contact with the string at only one point, and the chances of the shooting trajectory going amiss are very low. The end part of the release does the pulling of the string smoothly and consistently instead of your fingers. This mechanical aid creates better distribution by transferring the tension from your fingertips to the wrist then to your arm. This significantly stabilizes your shooting, and your fingers won’t be fatigued or calloused from repeated contact with the bow string. Chiefly, there are two types of bow releases: mechanical and non-mechanical. Archers more widely prefer the mechanical type. The non-mechanical is less popular than mechanical type and is often operated through a looped string or the back pressure. They are still available today and come with different designs. 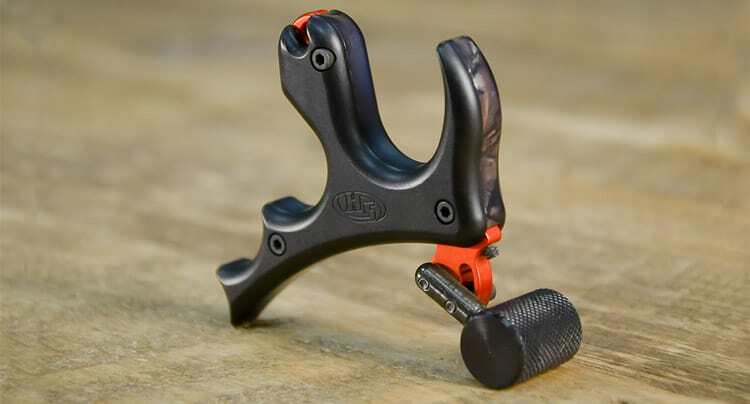 Caliper is also known as wrist release and is the most popular choice among the shooters. It comes with a wrist strap, rod, and trigger. The wrist strap is attached to your wrist through Velcro or buckles and is adjustable depending on the size of your wrist. The rod part is made of wire or plastic that connects the strap and the bow string on the other end. It connects with the string by clamping, and you can remove it at will by pulling the trigger. This is the mechanism behind the caliper as you clamp it to the string and maximizing the draw length, you press the trigger, and the arrow is shot. Caliper comes in many designs, and you can get a 360-degree rotating head that minimizes the torque in shooting. Also, other caliper-type products have adjustable trigger tension that allows you to attach and remove quickly by single or dual ball bearing. There are also models that are sold as part of the glove. Through this, the pull weight is evenly distributed. 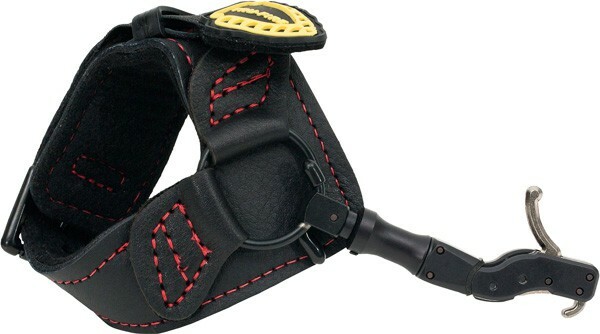 If you’re hesitating between a Velcro strap and the buckle strap, most experienced archers recommend the buckle because the length of the strap are uniform and aren’t loud, unlike Velcro. In a hunting setting, the hunter must be quiet in his movements so the prey won’t be alerted and escape. This type has no trigger, and the shooting mechanism depends on the archer’s hand rotation. The back tension type looks like a half caliper type. It is attached to the D-loop then the arm is drawn back to apply tension and then the bow string pressure increases. 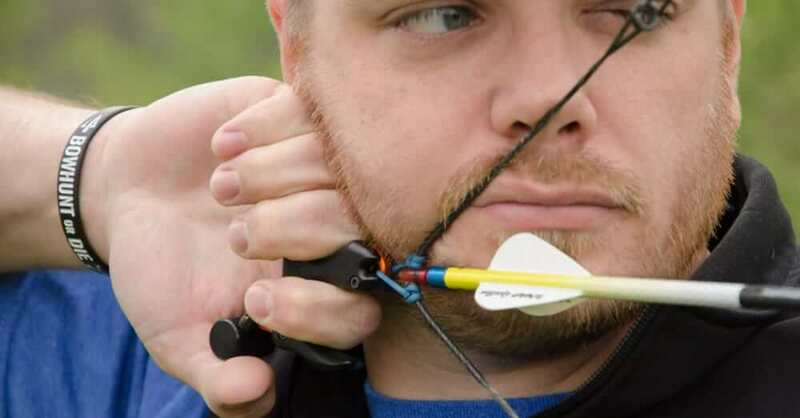 Handheld type of bow release is also called as finger release. It has a prominent structure of the letter “T” though some models have similar variations. The shooter needs to hold the release in his hand all the time, unlike the former type that is attached to the wrist. On long time use, the release conforms to your grip for the smoother release. The end part is a hook or caliper that attaches to the string and can be removed easily using the trigger pressed by pinky or thumb finger. Since this type is handheld, you can just attach it to the string for hands-free movement when not in use. Once set, the archer will rotate his hand, triggering the back tension device that releases the string. Back tension release is not recommended for beginners as you can injure your nose or any part of your face as the pressure is built up and you have no control when it slips. Hunters use this release as they noticed the significant increase in their accuracy as they’re not hindered with the activation of the trigger. This one depends on the archer’s strength and the pressure he applies to it. This is operated by holding it between the middle and index finger, and then the trigger is released by the thumb or the back tension. We present the products that are greatly popular due to their functionality and the ease that they guarantee to their users. This bow release from Tru-Fire is the cheapest among the other Tru-Fire releases we presented. This bow release is of dual caliper-type with a spring trigger. This turns out to a quicker clamping to your string than other releases. When you pull the trigger, the calipers open and automatically closes when you let go. 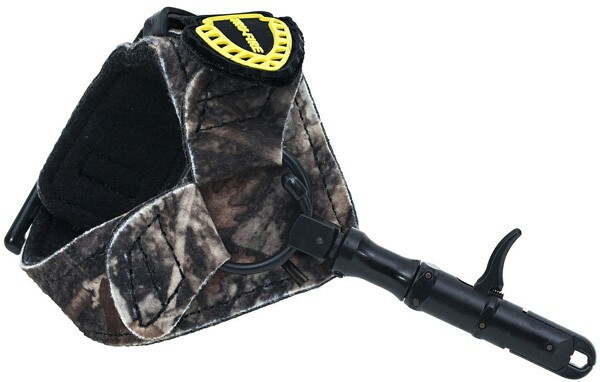 Hurricane has an adjustable trigger travel for smooth releasing and also has adjustable buckle straps. Moreover, Hurricane has a self-centering roller that rolls along the jaws that improve the smooth release. This bow release, despite its settled price, lasts long because the jaws are coated with Teflon and that makes it durable. This bow release is of wrist-type release and belongs to the higher price range in the market. The trigger is fully customizable depending on the pressure you want to apply. Also, it has an adjustable trigger travel that increases your accuracy. Your comfort is ensured because of the plush grip, and the buckle strap stays on. This product is very proficient for professional archers because it has self-centering knuckle that eliminates string torque, so you achieve stability and lesser effort with every shot. If you’re not using the caliper, you can fold it back, so it is protected when you’re doing rough navigation. 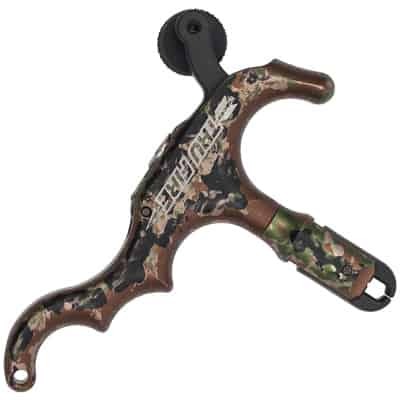 This caliper type bow release assures you of premium quality despite its price. It has dual caliper jaws that are automatic due to the spring loaded trigger. The slim design won’t be a hindrance in your wrist, so your comfort is guaranteed. Edge Buckle greatly eliminates the string torque so you can hit your target with great precision. Also, aside from the trigger travel being adjustable, the length between the head and strap is the same scenario, and you can turn it clockwise or counterclockwise. When you’re not using the bow release, you can fold it back for safe keeping. 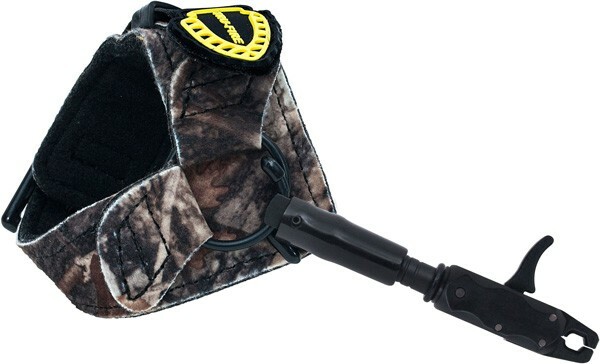 This handheld release assures its buyers the accuracy and the comfort with every shot. 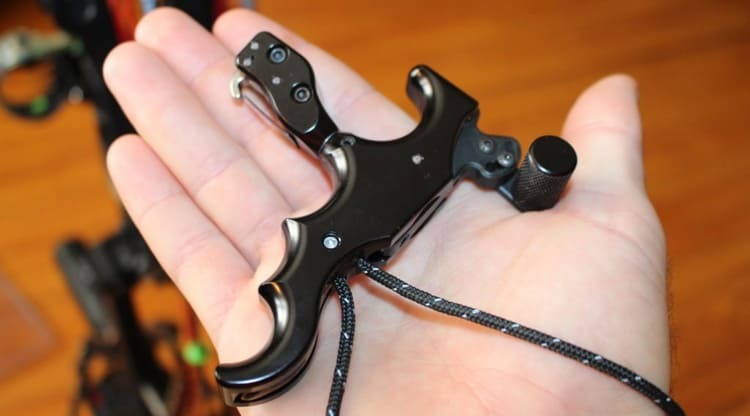 This bow release is a dual caliper, and the trigger is loaded with spring. The mechanism is that when you pull the trigger, the jaws open and they automatically close when you let it go. The spring loaded trigger also prevent string torque when you’re shooting as it’s an instant release. 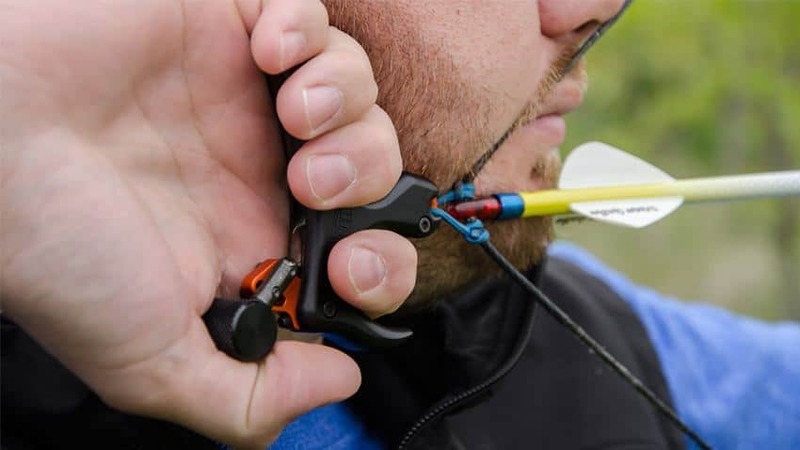 The head of this bow release can rotate at 360 degrees and it makes this one very versatile for automatic clamping in any angle of your hand. This bow release may come with a high price but surely get what you pay for. This type belongs to the handheld releases that you hold in your hand when you shoot arrows. 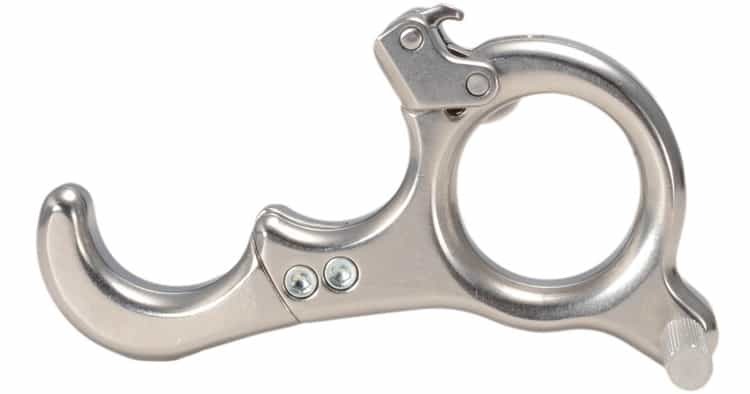 It has a four-finger thumb release style that connects closer to the D loop. This, in turn, reduces the string torque. This product boasts 360 degrees of smooth uninhibited rotation when you pull the string to its maximum draw length. In fact, the trigger travel, trigger tension, and head swivel are all adjustable, so your smoother release is guaranteed. There are a lot of models with different designs and types available for your careful selection. Essentially, you should find a bow release that has these three functions: gripping, pulling and smooth releasing of the bow string. And when you found one, it should be adjustable for your comfort. Excessive length to your release can reduce the draw length, thus reducing the speed of your arrow. You can avoid this by trying out bow releases good to your fit. There are releases that work perfectly on a particular type of string. Some bow strings are set up in a D loop, metal nock, or a metal fastener as release connectivity. 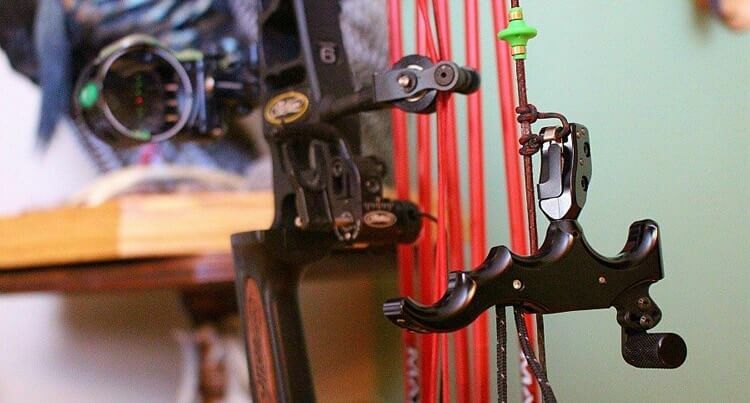 Before purchasing, check if your bow release is compatible with the string setup. Hand sizes differ on every archer. For wrist releases, the Velcro straps or buckle straps are flexible so that you can adjust it to the grip of your hand. As bow releases are modified to fit the archer’s preferences, there are models that feature ultra-sensitivity to the trigger, so the arrow is released with just a slight movement. There are also features like rotating head and adjustable trigger tension. As you hold a release in your hand or wear it on your wrist for a period, comfort should be a priority so your shooting form won’t deteriorate. Wrist releases are popular to archers because the padding is soft and relaxing. Handheld releases are also comfortable once it fully conforms to your grip. If you use compound bows for hunting more than target shooting, a noisy equipment is unforgivable. Don’t buy releases that make clicking sounds when you attach it to the string or when you pull the trigger. A little noise can startle your prey and notice your presence that makes it run away at full speed. Price range for this accessory varies depending on the brand. High-end bow releases normally cost a little closer to a hundred dollars. However, there are bow releases that are suitable to your budget and boasts good quality and proficiency. This ends the article about the best bow release buying guide. Through the above tips, you would have made up your mind by now on which bow release type is best suitable to your preferences. 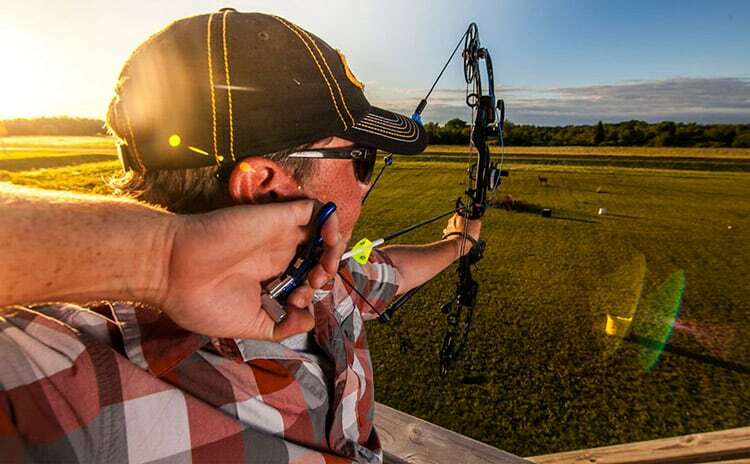 Test some bow releases before you make a final decision and you would eventually notice the increased stats in the smooth release, accuracy, and the comfort when you release your arrows. I think this review is wrong truball fulkrum and carter are the best hands down .